Are you stoked? You should be. It’s National Bike Month! And, yes, we know it’s actually week 2 of Bike Month, but our enthusiasm hasn’t slowed down much (of course, it might be the extra sugar we’re eating to keep us logging those miles). So, with the help of PeopleForBikes and Pearl Izumi, we’ve decided to spread our enthusiasm for the best month in the calendar (because, frankly, the cookies we were supposed to share are all gone). Read on! We’ve got tips for making your rides and commutes safer, gear that we’ve tested and recommend, and more info on joining the National Bike Challenge. You should definitely stay safe out there, and grabbing some sagacious advice from PeopleForBikes will definitely help. We heartily endorse these tips from PFB to keep you riding as safely as possible every time you hit the road. Follow the Law: You’re pretty much considered a car out there, so make sure that you follow the rules of the road. In other words, ride in the direction of traffic, stay off the sidewalk, obey traffic signals, and stick to the right-most lane that allows you to travel safely to your destination. Be Predictable: Cars want to know where you’re going! Don’t swerve, make sudden movements, or change lanes without looking. Use your arms to signal turns, and try to make eye contact with drivers when you’re planning a turn or other traffic maneuver. Use lights! : Here at SLO Cyclist, we all ride with daytime rear lights. Grab some quality, high lumen (my current tail light runs at 100 lumens in daylight) lights for both front and rear. Use them! Not only will you be more visible to drivers, it’s also the law that your bike is equipped with lights when you’re riding in the dark. And adding hi-viz/reflective gear doesn’t hurt either–check out our recommendations from Pearl Izumi below for visibility gear that also looks cool. Be aware, always: Constantly be scanning for drivers, pedestrians, potential dooring hazards, potholes, drains, and other road hazards. It’s generally a good idea to assume that other users of the road don’t see you–be on the defensive. Carry stuff: Wear your helmet. Yes. Please do. And don’t forget a flat-fixing kit for those days that the roads decide to attack your tires. Finally, always do a quick once-over of your bike before heading out on a ride. Do a brake check, look for any loose parts or cracks, listen for grinding or a noisy drivetrain. If you notice anything out of the ordinary, check out our how-to guides, or head over to your LBS to get a tune-up. With the help of Pearl Izumi, we tested a few kits to keep us riding Bike Month in style and comfort. We were somewhat blown away by the comfort and high-tech fabrics–including high-vis elements that match subtlety with safety. We’ve got those reviews coming up for you this week, and we’re pretty stoked. Until then, we’re passing along these ideas for kitting up with Pearl Izumi to help make riding to work, school, or maybe no-place-in-particular more comfortable, convenient, and cool. Be seen and protected! The SELECT WxB Jacket offered in BioViz color ways, keeps you seen in lowlight and dark conditions and dry in rainy weather. Packable pull over for fickle weather. The SELECT Barrier Pant keeps you dry and are small enough to easily pack just in case the weather is unpredictable when you head out. Easy to walk in shoes from the trails to the coffee shop. The X-Alp Seek VII Shoes keep you from clunking around on giant cleats, and offer SPD compatibility. Keeping warm for those brisk morning rides. The SELECT Soft-shell Lite Glove are rated for sub 40-degree temps, and should keep your fingers from going numb on chilly rides. Comfort! Liner Shorts work well underneath pants or other clothes for a padded layer during your commute to work. The PeopleForBikes National Bike Challenge gives us all a place to feel cool. Log miles and compete with other riders across the nation through the official website, and encourage your friends to get out and ride. 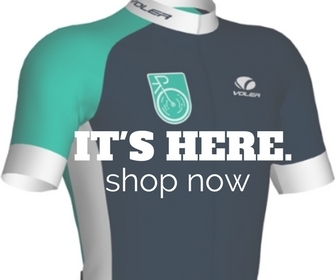 It’s totes free, and you can compete with riders locally, state-wide, and nationally. Ultimately, the Challenge aims to get 100,000 riders to pedal 75 million miles from May 1, 2016 until September 30, 2016. We can do this. By the way, this week also happens to be the official National Protected Bike Lane Week (May 9 – 13). 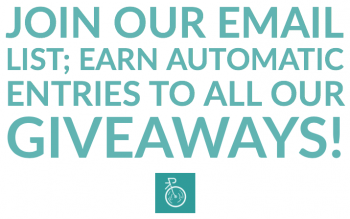 Get in on the challenge, and support advocacy for safer routes for all cyclists! Want to get in on this? Keep us in the loop on how your bike month is going, and be sure to let us know if you’ve got questions about commuting safer, or maybe just ways to beat your best friend at cycling. 😉 Happy riding!